We finally did it! In collaboration with Pastor Steve Harms of Peace Lutheran Church, we finished writing “Qi and Grace: An Embodied Lord’s Prayer.” It’s a thirty-two page guidebook to the “Abba-Imma Qigong” and includes Steve’s explanation of the wording of the Lord’s Prayer, Qigong foundations and practice guidelines, and step-by-step photos plus instructions of Kaleo doing the Abba-Imma Qigong form. Right now it’s available in PDF form but we plan to produce it as a print-on-demand book available through Amazon. Did you enjoy the last Peace Dance to World Music (January 10) or miss it but wish you’dbeen there? Another one’s coming on June 14 from 6:00-8:00 pm. The Fire Element in Chinese Medicine is about joy, freedom of movement and expression, connectedness with others, laughter, and play. Save the date and help us celebrate summer, the solstice, and shared joy! We haven’t been teaching as much maskmaking since the phasing out of John F. Kennedy University’s Arts and Consciousness program, but we’ll be offering a maskmaking weekend April 25 and 26 at the art studio of Diane Williams and Chuck Potter in Benicia. Details and flyer forthcoming. We’re looking forward to, once again, sharing the joy of shaping, painting, and embellishing masks from the creative well of the soul. We got interviewed the other day by our friend Karen Cashman for the “Published Writers Program” on Rossmoor TV. What? Rossmoor has its own television station? You bet. There’s an amazing amount of talent, intelligence, and fascinating life experience in this valley. 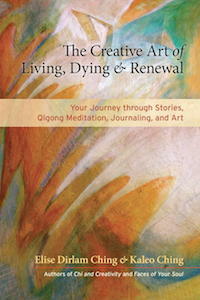 We talked about “The Creative Art of Living, Dying, and Renewal,” and Kaleo shared some experiential Qigong. 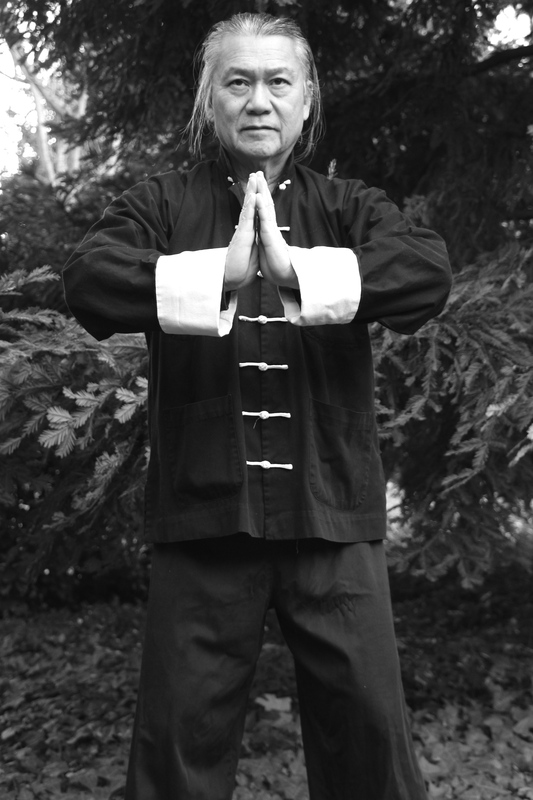 The producer was pleased and invited him back to do an hour-long Qigong class for the station in the summer. 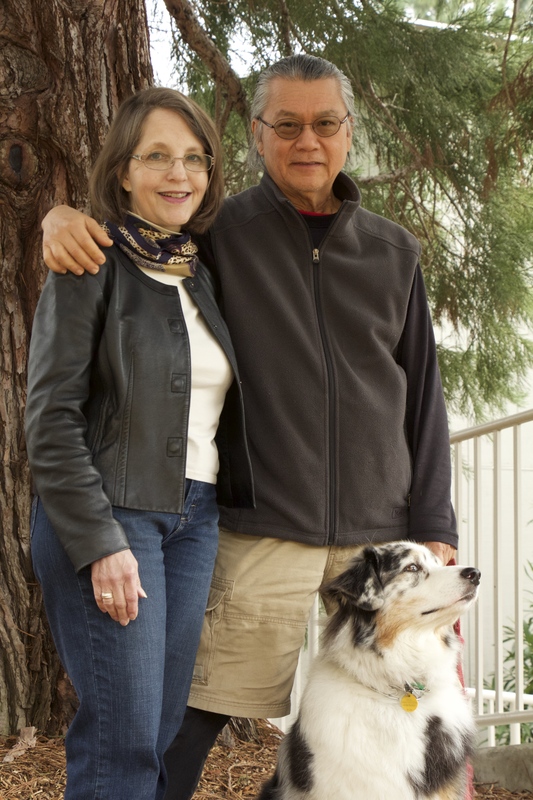 Friends Craig and Arlynn Bloom introduced us to Mussar – a thousand-year-old study and practice of Jewish ethics – first through the books of Alan Morinis, then inviting us to join them at Temple Isaiah in Lafayette for a class in the Mussar teachings. We find the reflection and practices related to traits like loving-kindness, awe, and humility to be meaningful both intra- and inter-personally. It’s like singling out the features of the soul and welcoming them into dialogue one at a time toward the aim of growth and integration of the whole. We also got to visit with our friend, Debby Schwartz, who introduced us back in 1988. She gave Kaleo my (Elise’s) phone number when he moved out here from Houston. The rest is history. It was great to visit with her and fill in the gaps from many years living on different sides of the country. Kaleo and I both got to talk on the phone with her ninety-eight-year-old dad. That brought back lots of memories for me, as Debby and I have known each other since junior high when we shared a whole-hearted passion for horses. I can’t even count the number of times I was thrown off a bucking or rearing horse only to get back on and try again until we (horse and I) worked it out. Older and wiser, I now leave such endeavors to the joints of a teenager. Shimmering Qigong and “downward-facing-dog” (Yoga) are more like it. This entry was posted in Chinese Medicine, Creativity, Death and Dying, healing, Qigong, Qigong and Chinese Medicine, Writing and tagged Chi and Creativity, creativity, Kaleo Ching on March 6, 2015 by eliseching.